Originally formed in 1977 and known as Void, this group won their section of the East Rand Battle Of The Bands in 1978. 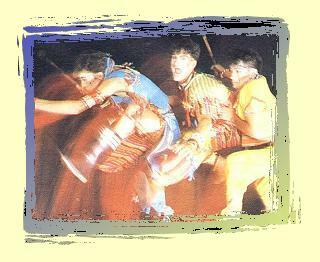 In 1983 they became éVoid with painted faces, tribal dances and jive rhythms. Left for London in 1985. Came back for SA tour in 1986. Changed name to Race Of Tan in 1987 - the line-up consisting only of the 2 Windrich brothers. Were still performing at the Springbok Bar in London in 2000. The Windrich Brothers attended The Christian Brothers College in Boksburg. Overture: A bigger and better éVoid album "Embracing the jubilant spirit and ethnic rhythms of Africa and the urgent pulse of contemporary white Western rock at once, with open heart and mind, éVoid has meticulously and shrewdly nurtured its own distinct sound," proclaims the media release that accompanied the original September 1983 issue of this, the eponymous debut album of éVoid. The three-piece band on this landmark album featured guitarist, singer and songwriter Lucien Windrich, keyboardist, singer and songwriter Erik Windrich and drummer-percussionist Wayne Harker. The original seven-track album (then available on 12-inch vinyl long-playing record and cassette tape) remains intact here, albeit in a digitally remixed and enhanced form. As a bonus, this version features five extra songs of more than 20 minutes of good music. Two of the bonus tracks are alternate versions and mixes of original album songs (I Am a Fadget and Shadows) and three are gems from the éVoid archives, Jiving to the Weekend Beat, Race of Tan and Jeremiah and Josephine. Signed to what was then WEA Records (later Tusk Music) of Johannesburg, éVoid recorded this album at RPM Studios, Goud Street in downtown Johannesburg during April 1983. The music was recorded and engineered by Richard Mitchell and produced by Lucien Windrich under the occasional vigilant eyes of the band's then manager, brother Karl Windrich, and the executive producer, Benjy Mudie, then A&R and marketing manager of WEA. Besides one guest performance from bassist Bakithi Khumalo on Taximan, éVoid played all instruments, sang all vocal parts and orchestrated all arrangements and electronic effects. For the die-hard fans and neophytes, alike, we hope you enjoy (re)discovering the irrepressible spirit of éVoid's music. We hope, too, that you'll share our conviction that this album remains one of the most original, enduring and infectious of the few really good rock albums recorded in South Africa during the 1980s. The essence of éVoid: a 2000 retrospective Twenty years have elapsed since éVoid (then simply Void) began to excite young rock enthusiasts on the South African club and concert rock circuit. The fond, joyous memories of this special band and its music seem to flow like the untainted waters of a languishing African river in no hurry to find the ocean, where they would only merge with many other rivers and lose their distinct and evocative individuality. By 1982, éVoid – strongly centred on the alluring songwriting, musical and even dramatic performing skills of the Windrich brothers, Lucien and Erik – had cracked the proverbial "big time". In their home city of Johannesburg, éVoid was packing the young music-and-dance enthusiasts into dark and smoky clubs, among them The Chelsea Hotel in Catherine Street on the Berea-Hillbrow border and Club DV8 and Dawson Hotel's The Venue in the city centre. They would later make a big impact on the larger concert circuit, playing at several annual Free People's Concerts of the University of the Witwatersrand and at 1985's outrageously popular The Concert in the Park in support of Operation Hunger, as well as various one-night indoor rock festivals. éVoid toured the country and left its celebratory sounds reverberating in Cape Town, Port Elizabeth, East London, Margate, Durban, Pretoria and wherever else the band sojourned. In December 1982, having seen the band perform on an especially memorable night at The Venue in the Dawson Hotel, I wrote for the now defunct Rand Daily Mail (December 13 1982): "éVoid is the most exciting avant garde rock band to emerge on the local scene in recent times. And if they maintain the high standard of their vibrant performances at The Venue, they will no doubt continue gathering an ardent cult following. "Their music – whether original or not – is an intriguing and shrewdly crafted collage of popular contemporary idioms. The rudiments of New Wave, Floydian-type concept rock, AOR pop and hints of traditional African rhythms have been meticulously fused to create their own unique brand of flamboyant rock. "Their songs are largely defined by sharp-edged, taut arrangements centring on the synthesiser pyrotechnics of Erik Windrich. The sound features a wealth of melodic hooks, an explorative but disciplined rhythmic force and, at times, a lyrical eloquence. Guitarist Lucien Windrich and drummer George Voros are energetic, competent musicians who consistently complement the orchestral landscapes sketched by the nimble-fingered Erik Windrich." Looking back almost 18 years, this remains a succinct (even if flawed) introductory encapsulation of éVoid's music. Brothers Lucien and Erik Windrich and then drummer George Voros (replaced by Wayne Harker in early 1983) were mesmerising. And not just because of their flamboyant and celebratory musical weaves. They had irresistible visual magnetism, too. This is significant given South Africa's prevailing sociopolitical malaise of the 1980s. It was the time of the infamous P W Botha, the finger-wagging Groot Krokodil and his prolonged State of Emergency – not to forget economic sanctions, the cultural boycott, Artists Against Apartheid, End Conscription Campaign, the impassioned pleas to the world for the establishment of justice and liberty in South Africa by the likes of Bishop Desmond Tutu and, later, the rise of the United Democratic Front (UDF). The mood out on the streets and in the parks, clubs, shebeens, factories and mines was frequently sombre, ominous and disconcerting. Music became a perfect foil for these uneasy times, a chance to dance into a near trance-like state late into the night and therein forget the oppression and depression. The more joyous the melodies, the more jiveable the rhythms, the more flamboyant the costumes and the more sanguine the band's spirit, the more one could indulge in hedonistic fun, while also believing in a deeper, more spiritual sense that hope for the future should never be abandoned. Like a symbolic lighthouse beaming over rocky waters, éVoid was a light of hope, happiness, compassion and celebration in dark times. They could be extravagantly warm, light-hearted, joyous and carefree, even downright funny and frivolous. Just listen to the fourth song, Junk Jive. These qualities were quintessential to the complete éVoid experience. But this is not to suggest that Erik and Lucien, the principal éVoid songwriters and aural architects, were in any manner ignorant, insensitive, irresponsible or indifferent to their audiences, their surroundings and their times. Far from it. They were tuned in deeply to, and inextricably from, the spirit of their times, but they never stooped towards cheap and angry soapbox politicking and proselytising. There was a profundity to many of their performances and a compassionate sensitivity to some of their lyrics. In troubled political times, éVoid had the intuition, soulfulness and, perhaps, even the foresight to transcend political outrage, on one extreme, and the indifference of apoliticism on the other. Just listen to what was for many fans their timeless and defining moment of glory, Urban Warrior, or their later recordings completed in London, the touching and understated Race of Tan and Jeremiah and Josephine. The éVoid history: Music-and-dance adventures in the land of Ethnotronics The older of the two Windrich brothers, Lucien (born in November 1958 in the Netherlands), cut his teeth playing Jimi Hendrix-inspired material, which included a few Hendrix-like stage antics (such as playing his guitar behind his back). The Hendrix legend became a feature of the embryonic band, conceived in the mid-1970s when Lucien started playing in a Brakpan-based band, Zennith, with high-school friends in small venues. Zennith would metamorphose and become Void in 1977. For a period in this embryonic phase the band also featured on bass guitar their future record company custodian, Benjy Mudie, another native of Brakpan. Erik (born in February 1960, also in the Netherlands) matriculated in 1977 having written and performed two "rock operas" for school productions and joined the band in 1978 after a stint with his own rock band, Ardent Hayes. While at school the two brothers, along with a few musician friends, played small gigs around Springs, Boksburg, Benoni and their then hometown of Brakpan. For both brothers, rock 'n roll in its myriad of expressions was the key to opening new doors of perception and experience. It was no ordinary adolescent infatuation, but their lifeblood and destiny. In 1979, billed as Void – a name that was aptly never intended to mean anything – the two brothers performed their first professional gig in Bulawayo, Zimbabwe, with three other musicians (including drummer Danny de Wet, later to play with Petit Cheval and Wonderboom and bassist Terry Andalis, later to play with BBC Paris). Ironically, Void had won the 1978 Battle of the Bands on the Witwatersrand, but could not secure a decent paying gig in South Africa. An eight-month stay in Zimbabwe followed, where they were well received by audiences starved of good live rock music – and where they recorded and released their first single (a pogo-inspired cover of The Knack's My Sharona), Erik, Lucien and their fellow band members of the day spent most of the subsequent four years on the road paying their dues and gathering a following of loyal fans in South Africa. "My only regret at the time was missing Bob Marley's concert celebrating Zimbabwe's Independence in April 1980," says Lucien. Erik, Lucien and their fellow band members of the day spent most of the subsequent four years on the road, honing their craft, paying their dues and gathering a loyal following of fans in South Africa. This period became the defining time when Void of old became éVoid. "Karl, Lucien and I used to have such intense brainstorming sessions to shape our way forward," Erik recalls fondly. The winds of change that reshaped the international rock scene of the late 1970s and early 1980s (especially in the United States, Britain, Ireland and Australasia) would inevitably sweep across the South African musical landscape and, in time, éVoid would enjoy aural prominence alongside the divergent (but rock-based) talents of Tribe After Tribe, Ella Mental, Via Afrika, Roger Lucey, The Dynamics, Flash Harry, Petit Cheval and Neill Solomon's Passengers, among a few other notable bands and artists. Unlike the more traditionally ethnic sounds of Juluka and Hotline, for example, éVoid created a more finely balanced and subtle fusion of Afro-rock (Ethnotronics in éVoid speak), a sound that draws more generously and widely from a multitude of both rock styles and African musical genres, without losing its refined touch. Like other Afro-rock-type artists, however, éVoid conveyed immediacy, simplicity and warmth of spirit. Throughout 1982 éVoid would rise in prominence, receiving more and more media and public attention, as it moved from one popular rock venue to the next across the country. By now, audiences were guaranteed that anything between 60 and 80 percent of the band's music would be original, with the cover material certainly not likely to be played by other bands on the rock and pop scene. Highlights of their highly selective cover material at the time included sprightly and intriguing versions of Peter Gabriel's Shock the Monkey, David Bowie's Let's Dance and Talking Heads' funky Cross-eyed and Painless. Much to the band's credit, éVoid members kept themselves easily accessible and promoter-manager Karl Windrich gave his fair share of sweat equity by constantly promoting and publicising the band with the help of a small, dedicated team and design-and-image guru Nic Hauser. Conventional newspaper advertising, guerrilla-style posters (hurriedly erected in the early hours of the morning) and the gathering force of word-of-mouth advertising all contributed to the band's growing popularity. 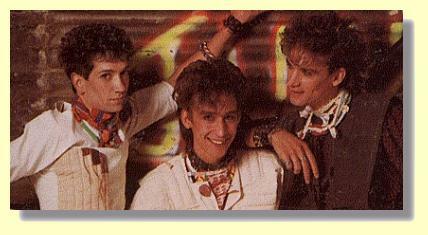 Early in 1983, long-serving drummer George Voros left for England and another young and promising drummer, Wayne Harker, was hired. Soon after his recruitment, work began on recording this debut album at RPM Studios. As a prelude to the release of the debut album, WEA Records released in August 1983 the first single, Shadows (backed with Dun Kalusin Ta Va), which remains active on the playlists of South African rock and pop-oriented radio stations. The band further consolidated its popularity and helped to drive up its album sales by performing at the Chelsea Hotel for most of August, September and October 1983, before moving on to play a variety of gigs at other clubs, including Q's Supper Club in Market Street in downtown Johannesburg and Slippers Boogie Palace at Durban's Los Angeles Hotel. January 1984 saw éVoid return to what was probably its favourite venue, the Chelsea, with songs from the first album, such as the irresistible Taximan, still receiving extensive airplay. The dedicated éVoid fans – fadgets in almost equally outrageous and colourful ethno-gypsy garb – would queue for hundreds of metres around the Chelsea in the hope of catching a glimpse of their favourite band and, if really lucky, a chance to jive and boogie on an overcrowded dance floor. After another packed stint at the Chelsea, Lucien, Erik and Wayne undertook a gruelling three-week tour of South Africa, starting at Durban's University of Natal campus, moving down the coast to Cape Town and then roughly northwards to Bloemfontein, Johannesburg and culminating at the University of Pretoria's Sports Centre on March 15. By and large, the media and the fans responded warmly, even ecstatically, to the band's jiving rock sounds. The headlines of the time provide some hint: "éVoid show is compelling" (Port Elizabeth's Evening Post) and "éVoid takes EL by storm" (East London's Daily Dispatch). Amid the mostly positive headlines and the frenzied crowd responses, a foreboding event was to upset the tour's momentum and, in time, provide much of the reason for the band's emigration. Drummer Wayne Harker was arrested by military police shortly before the band was to start its scheduled Grahamstown performance of February 28. Harker was taken into South African Defence Force custody to appear before a court martial for being absent without leave (AWOL) from military service since December 1982 (414 days). In a deft manoeuvre, original Void drummer Danny de Wet was recruited hurriedly to replace Harker for the remainder of the tour. In March 1984, Harker was discharged from the military and free to rejoin the band. In April it was business as usual, back on the Johannesburg club and concert circuit, including gigs at the Market Theatre and Raffles, before staging several concerts elsewhere, including Kimberley, the East Rand, Nelspruit and Cape Town. August 1984 saw the band return to the Chelsea for a sell-out month as a swansong for the Chelsea, which was closed as a rock venue in September 1984 because too few bands were deemed "profitable". The final stint at the Chelsea proved one certain thing: éVoid was riding the crest of a long, exhilarating wave. The band was probably drawing more fans than any other rock band of the time – and éVoid had some worthy competition, too. This gig, overcrowded and highly emotional, spilled over into a post-midnight Hillbrow street party. By September, too, the long-awaited debut album was riding on top of the South African charts. This was a rare feat for any home-grown act that was usually expected to live in the shadow of Big-Name American, British and Irish rock acts. The three-track Kwela Walk/I Am a Fadget/Tellem and Godon 12-inch maxi-single was also receiving rave reviews and strong in-store demand by fans and fadgets. In September 1984, the trio travelled to the Western Cape to perform at sell-out concerts and club gigs in and around Cape Town, including the Cape Technikon Carnival at Maynardville, Wynberg. In general, the print and electronic media were favourably disposed towards éVoid, but there were the cynics and detractors who perceived them variously as androgynous misfits, pretentious white boys in beads and shallow-minded slaves to fashion and rhythm. In the October 17 1984 edition of Scope magazine, for example, music writer Jeremy Thomas opined cynically: "Finally, avoid false prophets, the capitalisers – cashing in on the hip image without giving the content is WRONG. Sick. This is not nice, éVoid and Via Afrika." 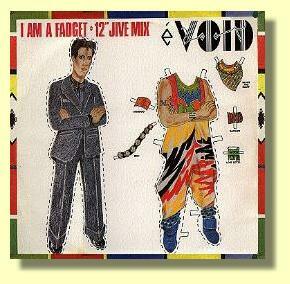 At the Sarie Awards of November 1984, sponsored by the now defunct Springbok Radio, éVoid received two key awards: Best Arrangement and Production of an Album (for éVoid) and Best Contemporary Pop Artist (for the single, I Am a Fadget). The following year saw éVoid and numerous other popular musicians and groups (among them Hotline, Via Afrika, Juluka, All Night Radio, Ella Mental, Steve Kekana, Harari, Mara Louw and Rockets) attract an estimated 100 000 (or more) music fans to The Concert in the Park (Saturday January 12 1985) in support of Operation Hunger at Johannesburg's Ellis Park Stadium, the hallowed ground of Springbok rugby supporters. Then came February, the month of their farewell for London and search for international recognition. By now drummer Wayne Harker had quit to join a Capetonian band, Askari, while brothers Karl, Lucien and Erik prepared for their exit from parochial stardom. Late-1984 and early-1985 was, in many respects, a period of introspection and soul-searching for the Windrich brothers. They had reached the pinnacle of their hopes in South Africa; they were, in hindsight, critical of the production quality of the debut album; and Big Brother, the South African Defence Force, was trying to conscript Erik for national service. In their farewell interview, published in the February 1985 edition of Top Forty magazine, the Windrich brothers had an optimistic undertone. They believed their time had come to move on and build an even stronger following in Europe and to record an even more sophisticated album in London. Their vision was lucid, their plans bold but seemingly attainable and their spirits high, even if softened by a gritty realism acquired on the South African music scene where too few musicians really earned a comfortable living. Sadly, England would provide them with new homes and a few new fans, but the name éVoid wasn't going to be emblazoned on the covers of Melody Maker, New Musical Express, Q or Mojo. Erik and Lucien, without doubt, were bristling with energy, ambition, talent and ideas – and they had their thousands of well-wishers. Erik, Lucien, Karl and their partners (wives/girlfriend) moved into a new home in South Harrow in Middlesex, from where they promoted themselves to various record companies (in vain) and wrote and recorded new songs in their eight-track garage studio. This studio was available to other musicians for a modest daily rental of £25 in 1986. Lucien and Erik performed mostly in and around London as a four-piece éVoid with fellow South Africans Ilne Hofmeyr on bass and Richard Devey on drums. Work on the duo's second album, the more experimental Here Comes the Rot, was undertaken throughout most of 1986 and the album was released by WEA Records in December to coincide with éVoid's return to South Africa for a six-week nationwide tour, to which the band media writers and fans responded with mixed views and sentiments. The album was co-produced with former South African producer and engineer, Greg Cutler, in London's SAV Studios. The debut single from this album, Dance the Instinct/Sergeant Major, was released in November 1986. Lucien, Erik and Wayne today: Alive and beating strong in Europe Lucien Windrich continues to write, perform and record music, albeit in a different manner from the éVoid heydays. Since the early 1990s, éVoid has played only occasional club and festival gigs for enthusiasts. Lucien and Erik believe that the window of opportunity to conclude and fulfil a new international recording deal for the band has misted over. Lucien is involved in other musical forms and currently performs in a samba-styled rhythm band ("more like a drumming workshop") doing occasional gigs in England, including fringe performances in the streets at rallies, marches, demonstrations and carnivals. Lucien – noted in the past for a certain soulfulness and spiritual undercurrent – has been studying astrology and is currently reading for a degree in anthropology. Today he lives in North London with his partner Cathy, a midwife, and their son and daughter. Lucien sounds even happier, more relaxed and focused and much wiser these days. He admits: "I'm having a good life and I'm really enjoying myself." Looking back at the band's lack of fortunes in the past 15 years, Lucien says there may have been more merit in moving to mainland Europe or even to the United States instead of London in 1985. But that's now water under the bridge and he's currently trying to start a fusion-style band that incorporates a high degree of percussive styles emanating from Asia, Africa and other regions. "World music has one good aspect," says Lucien. "People from other regions of the world (beyond Britain, Europe and the United States) are now having their music heard and appreciated. But there's been the downside, too. There are certain musicians playing world music without doing it authentically. Like me …," he laughs. Lucien hopes to release some of his new recordings soon – music inspired by world music. Looking back on éVoid's successes of the earlier 1980s and the first album, Lucien maintains that the band had a strong spirit, but the album was hard to appreciate in many respects in the aftermath of its recording. "For many years I did not want to talk about the (debut) album or acknowledge it. It wasn't about regret or disappointment, but rather because I was going through a particular intense emotional period in my life. I really didn't know how to place music in my life at one stage." For a while Lucien abandoned his music and concentrated on nurturing his growing interest in astrology. In addition, he was settling into a happy new relationship with his partner, Cathy, and wanted to start a family. "Now, when I look back on the éVoid album, I'm proud of our work. We still play these songs today and people still enjoy listening to them. Songs like Shadows live on, while songs like Taximan still have the groove but, in some respects, sound tired today. "What's important is that we stuck to our vision. Our challenge was to reproduce on album what we did live. We did not want the music to be too layered or overproduced in the studio so that we could maintain the "live" feeling. "I still believe that éVoid remains one of the better produced albums of its time, although it sounds a little tinny today." 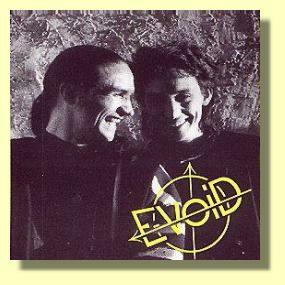 The British did not respond to éVoid's fresh, infectious music as Erik and Lucien had originally hoped when they arrived in London in 1985. "The British sense of originality is great and the British are renowned as explorers. In some respects, our music, despite being original and explorative, was too up and positive with a strong sense of fun, which we got from South Africa. There's sunlight in our music and this is what has appealed to fans here in Britain." Sadly, music with the warmth of Africa was not alluring enough for British A&R executives. Erik Windrich has remained a committed musician. In the intervening years, he has worked on various projects, including creating and performing The Vision Thing, an eclectic mix of indigenous and electronic elements, with gigs and arts festivals in and around London, performances in Bournemouth and at the opening of a new venue in Paris. His continued interest in music and its applications won him a place on the two-year postgraduate course at England's National Film and Television School. He gained his diploma in February 2000 and is actively working. "Applied music is a separate craft, which I enjoy – but I've never lost my love of song. The archive éVoid material written and recorded in London is testament to my continued efforts." Erik is also currently working on a solo acoustic/world album of songs that he describes as "intrinsically me". Erik's 10-year-old daughter from his first marriage now lives in Cape Town. Happily unmarried, he and his partner, Alix, a lawyer, live in North-West London with their daughter (aged seven) and three stepchildren (aged 16, 15, and 12). Arriving in London in 1985 and trying to earn a living as respected musicians has rarely been easy, says Erik, pointing out that éVoid's arrival in London at the time of South Africa's state of emergency made people suspicious of them. But some lucky breaks would ensue and éVoid played scores of club and festival gigs in Britain and on the Continent, most notably Germany, over the next decade. Erik remains convinced that the world is yet to open its hearts and minds to the music of Africa, a music that shaped a large amount of the éVoid sound throughout the 1980s and into the 1990s. The current phenomenal growth in dance music worldwide could well help to expose, in time, a larger number of people to the infectious and often joyous rhythms of African music, including the type of fusion jive-rock music written and performed by éVoid. Erik may well be right when one looks to the emergence of world music and the promotional role played by the likes of English musician Peter Gabriel and his Real World music label. African musicians like Senegalese singer Youssour N'Dour are becoming household names way beyond their native territories. Looking back on the first éVoid album, Erik says it remains a proud testimony of how the band felt and lived at the time (1983). "We stuck our necks out and were enjoying ourselves," he recalls. "There's still substance to this music – and there's still creativity in our work, as there is in the work that Lucien and I have done since. "There are songs with longevity, whether you hear it in the vocals, the message or a certain resonance that permeates a particular song, like Urban Warrior, for example, which still has inspiration and depth. Shadows is another song that continues to endure, as does Dun Kalusin Ta Va, a song about the South African struggle." Looking back at some of his literary, musical and other artistic discoveries in South Africa during the 1980s, Erik refers to the great African philosopher, medicine man and artist, the late Credo Mutwa, whose books he had read in the early days of éVoid. The impact of these works was distilled in some of the band's songs, among them Shadows. "There is often a tendency for artists to plug into those ideas, beliefs and systems that other people may not be aware of and, in the process, to share these more widely through music." Despite éVoid's detractors and some of the criticism levelled against the band (much of which was harsh, unfair and unjustifiable), Erik maintains today: "The spirit of the band, the music, the lyrics, the image and the performances was true. We made a good rock album with a strong African feel. That's what we set out to do and we believe the first album still belongs to its time and place. The second album (Here Comes the Rot) was not as interesting. It was more diverse in terms of ideas and sounds, but not as true in spirit." For all the joyous jiving and infectious spontaneity that define much of the éVoid sound, Erik maintains to this day (as he did in earlier interviews): "I have always been serious about music and doing well. I have always been absolutely dedicated and have always worked hard – and I continue to do so." Arriving in London – for many artists, the world's quintessential capital of creativity – back in 1985 proved to be a great paradigm shift and a tremendous source of inspiration for Erik and Lucien. In the ensuing years, they continued (together and apart) to write and record new music. But there have been disappointments – and fans, no doubt, have sensed some of these by remote empathy. Erik matter-of-factly states that éVoid should have been more widely received and wealthier today given their artistic freshness, hard work and dedication – and he's right. "We never had a raucous lifestyle. We were often far too sensible for our own good. It's difficult to come to terms with your past. I wrote Jeremiah and Josephine in this period and, in many ways, it reflects my personal journey, too. I still feel we could have gone much further on the international music stage, but we weren't always pulling together. "Sometimes I am happy just to think that sacrificing our success was our contribution to the (South African sociopolitical) struggle. You cannot undo what you know and where you've been." Wayne Harker, drummer and percussionist, now married to a German, is living in Cologne and has also maintained his career in music. After the dissolution of Askari in Cape Town and a stint in a cover band playing the Holiday Inn pub circuit in South Africa, he was summoned to London to rejoin Lucien and Erik (and bassist Ilne Hofmeyr) to record some fresh material. He spent about four years with the brothers in the late-1980s and early-1990s, a time that included a six-week tour of Germany. His return to London from that German tour proved to be a turning point. Immigration officials refused him re-entry into Britain and he was sent back to Germany where he was able to obtain a work permit and, in time, to meet and marry his German girlfriend, thereby enabling him to settle in Germany. In the ensuing decade Wayne has developed his musical talents, has learned to play bass guitar and keyboards and has been writing and recording his own original music. He has had some music released in Europe and is currently looking for a record deal to release some of his latest original music, which he describes as being diverse and incorporating genres such as African music, hip hop, jazz, funk and reggae with "a strong pop feel". Surprised at, but enthusiastic about the rerelease of the album, Wayne says: "It would be great to put the band together again and play in South Africa on another tour. "I think of the first éVoid album often. I have always believed that it is an album that could stand on its own. It's a timeless piece of music and it will always be relevant, especially in South Africa. "For me, it's a pity that I was so young and inexperienced at the time to have appreciated more fully what we were doing and what sound we had created. I still believe that we could have gone international and received more recognition for our music. Today, I am a better person and a better musician and I am looking to the future now, believing in what I'm currently writing and performing in Germany." Cologne is not the epicentre of the German cultural scene and Wayne has rarely had the opportunity to meet the type of musicians with whom he would most like to work. More recently, however, he has come into contact with a growing circle of West and North African musicians, who are naturally more willing and able to record ethnic styles of music. Finale: A rich artistic heritage to be cherished Who knows what the future may bring. Whether éVoid would ever perform in South Africa again or release a new album of original songs remains to be seen. What matters most, looking back more than 15 years, is that éVoid's music still sounds so fresh, compelling and distinct. South Africa lost three fine musicians, so let these songs – now enhanced and freshly repackaged – remain at the heart of the great éVoid musical legacy. 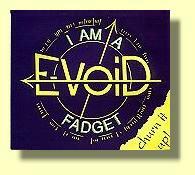 The joyous, junk-jiving spirit of éVoid shines on, still providing a light of hope and inspiration in a musical landscape that has yet to have been fully formed and earned the appreciation and respect of the world's growing base of music enthusiasts. éVoid's art remains a celebration of dance, humanity and of life … a distinctive heritage that deserves to be cherished.